This week we bring you a chat with Doug Purdie, Doug is an urban beekeeper based in Sydney Australia. We discuss Doug’s new book “Backyard Bees: A guide for the beginner beekeeper” and how he moved from a corporate job to a full-time beekeeper. Megan Paska is a Beekeeper and Farmer. She is the author of the new book “The Rooftop Beekeeper”. 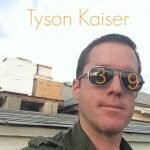 Tyson Kaiser is an ethical bee remover in the Los Angeles, California area and an urban beekeeper. 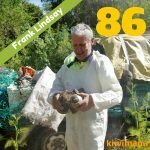 This week we are talking about Beekeeping in Wellington with Frank Lindsay. 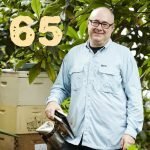 This is Episode Eighty Six of our beekeeping podcast. Michael Young is a Beekeeper from Northern Ireland, who is also the current chairman of the Institute of Northern Ireland Beekeepers and was awarded the MBE in 2008, for voluntary services to beekeeping. He loves bees and is addicted to making mead? Michael is also an Executive Chef at the Hilton Hotel. 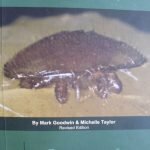 How to Prepare a Beehive for Winter, our guide to what we do at kiwimana to get our Beehives ready for the cold wet New Zealand Winter. 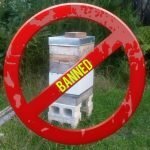 Another threat to Urban Beekeeping in Auckland has been discovered, please make a submission before it affects you! 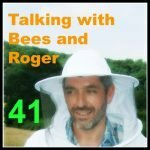 Roger likes to talk to the Bees and runs a successful blog. 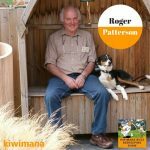 Roger lives in Gloucestershire area of England and is married with a small child. Hi, Here is an interesting article from Janet Luke about creating a Bee Friendly Garden. Even if you can’t keep bees you can help them out by planting some great sources of pollen and nectar for them. Thanks Gary via Creating a bee-friendly garden :: Good :: New Zealand’s guide to sustainable living.